Awesome Gardening Event This Saturday! Come join us this Saturday, May 5th for two hours of gardening inspiration! We’ll meet at 10am at 66 Marlborough Street in Boston. There will be a bunch of new and avid gardeners gathered in the auditorium of the First Church in Boston. Come hear Ellen Abdow, the talented owner of Perennial Gardens. She’ll share her insights and experiences about planting in urban environments. 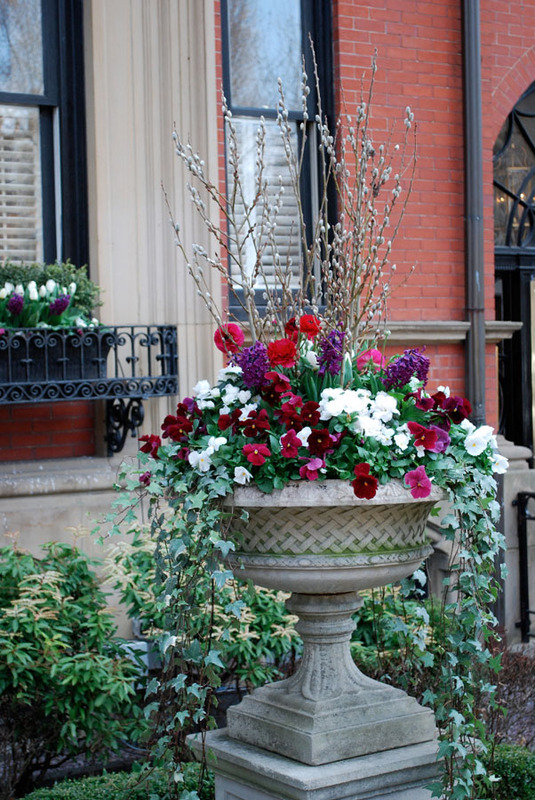 She’ll also create a fabulous container garden in front of our eyes! A demonstration not to be missed! Don’t miss this opportunity to be inspired! Come discover the secrets to maintaining a beautiful and hardy flower garden – in whatever space you have! Cost is $25. Tickets available at the door. 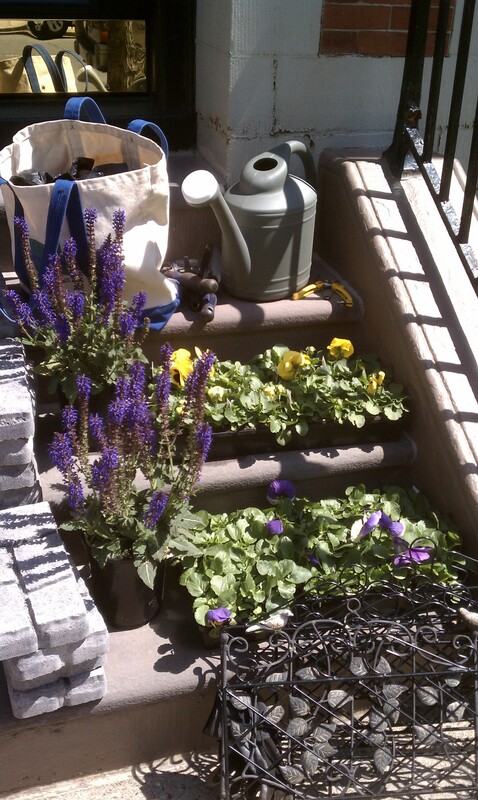 For more information, go to http://citygardening.eventbrite.com. 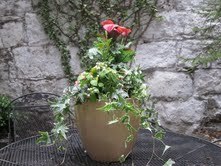 Or email me at janine@citygardenideas.com. Hope to see you on Saturday! 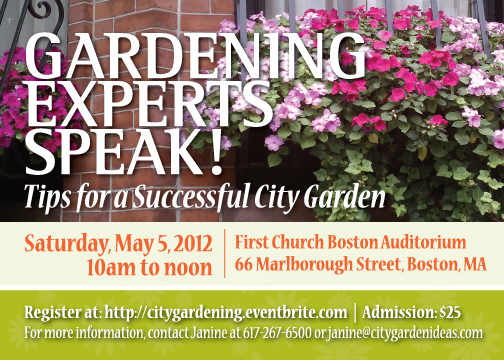 Gardening Experts Speak May 5th in Boston! Come get great advice and a dose of inspiration to make this year’s flower garden your best yet! 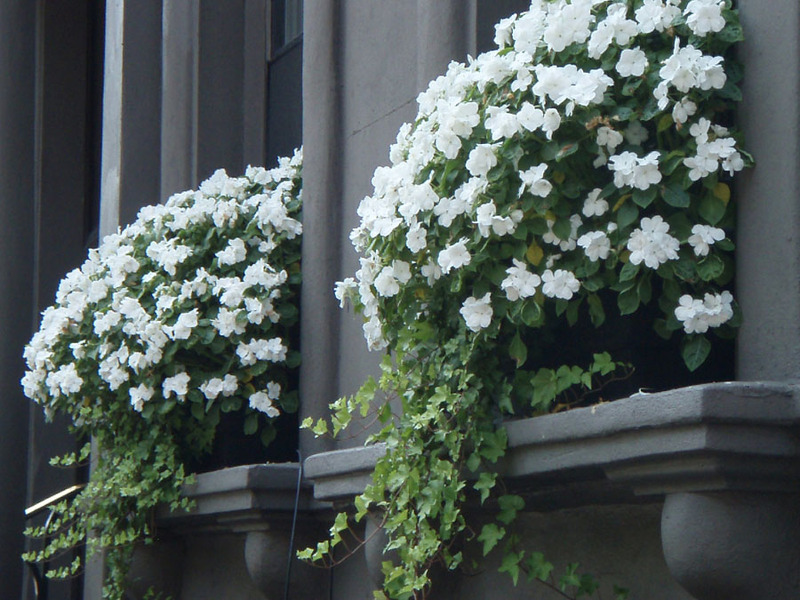 This second annual City Garden Ideas event will be held in the auditorium of First Church in Boston, 66 Marlborough Street, at the corner of Berkeley and Marlborough. Our featured speakers are talented, professional horticulturalists: Ellen Abdow, owner of Perennial Gardens, and Tom Smarr, The Garden Concierge and former Superintendent of Horticulture at the Rose Kennedy Greenway. What can you expect? Plenty! Ellen will create a beautiful container garden right before your eyes. She’ll share gardening wisdom and offer insights into the hottest trends. 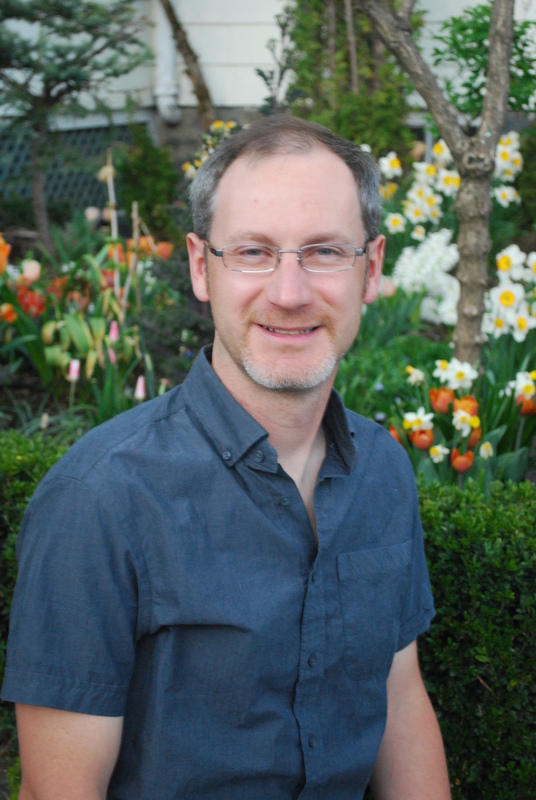 Tom will offer up gar dening basics on tools, soil, sun and choosing plants that thrive in every season. He’ll also talk about vertical gardening. That’s when blooms go up and up. Register at http://citygardening.eventbrite.com. The cost is just $25! There will be plenty of time for questions and answers, loads of handouts and door prizes! This event is not to be missed! 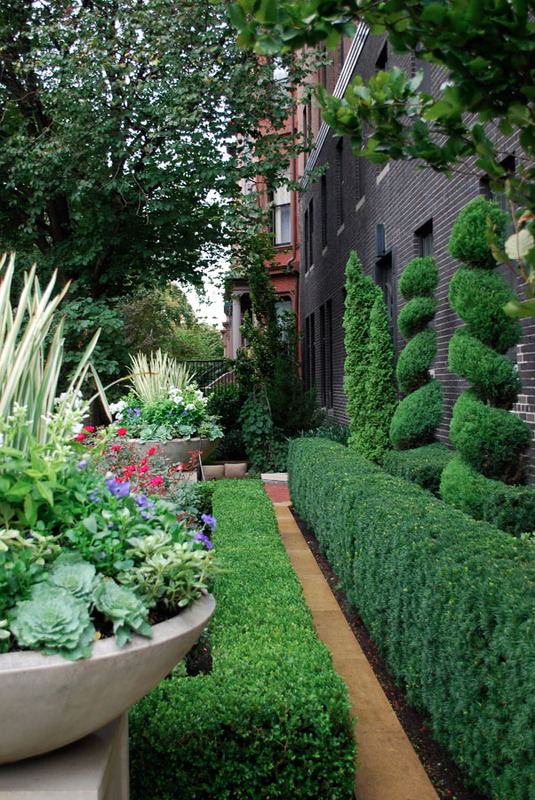 If you have questions, call 617-267-6500 or email me at janine@citygardenideas.com. Hope to see you there!